Chrysler Canada sales were up 12 per cent in 2014 and General Motors sales up six per cent in a year that set a record for Canadian car sales. Car sales are lower, but surging demand for light trucks helped set a new record of 1.849 million vehicles sold last year. Ford was the top seller in 2014, with 291,951 new vehicles delivered in Canada, up 2.9 per cent from 283,588 in 2013. Truck sales totalled 229,603, up from 215,247, while car sales slipped to 62,348 from 68,341. 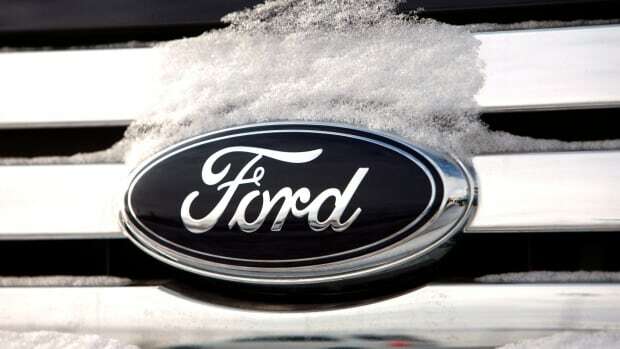 It was Ford’s best year in Canada since 1997. Chrysler Canada says it set a new record for annual sales in 2014 of 290,004 cars and trucks, up from 260,015 in 2013.
hrysler truck sales for the year totalled 255,119, up 20.1 per cent from 212,501 in 2013, while car sales amounted to 34,885, down from 47,514. In 2014, 63,381 Windsor-built Chrysler, Dodge and Ram minivans were sold, the highest annual sales since 2007. Sales of the Dodge Grand Caravan increased by 11 per cent to 51,759 units sold, up from 46,732 in 2013. GM boosted its sales by six per cent to 249,800 vehicles last year, despite a record number of recalls. That’s up from 234,944 in 2013. Truck sales gained 6.2 per cent and car sales rose by 6.5 per cent. GM finished the year with a strong December, selling 19,247 vehicles, up 13 per cent from December 2013. Many automakers saw a sales surge in December, as they offered incentives to push them into record sales territory. Honda Canada's combined 2014 annual sales for Honda and Acura totalled 172,426 units, a five per cent increase on 2013. Volkswagen said its annual sales in Canada were at a record 65,677, up five per cent from 2013. Nissan set a record with 115,445 total Canadian sales in 2014, an increase of 26.1 per cent over 2013. U.S. sales were expected to come in at 16.5 million vehicles, up six per cent from last year and the highest since 2007.